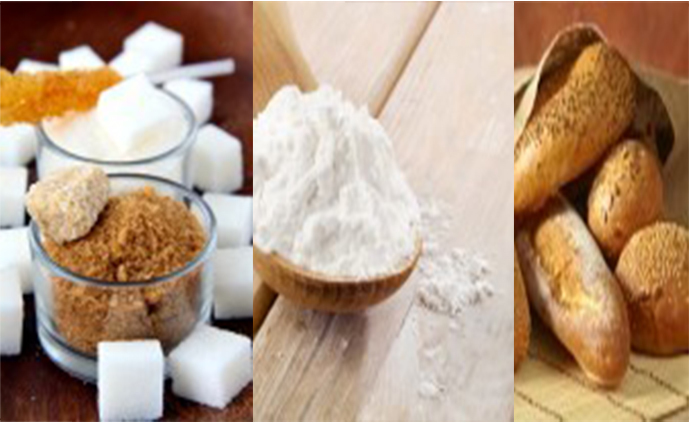 Avoid sugars or stick to natural sugars rather than added sugars. Stick to whole grains and complex carbs rather than simple carbs. Complex carbs (including whole grain bread, whole grain cereal, oatmeal, brown rice, wild rice and whole grain pasta) slow the rise of blood sugars. Stick to food products high in fiber. Stick to monosaturated fats; avoid polyunsaturated fats, saturated fats, and trans fats.